To compliment the Tao table, this chair sits perfectly with either the 4-6 table or the 6-8 table. 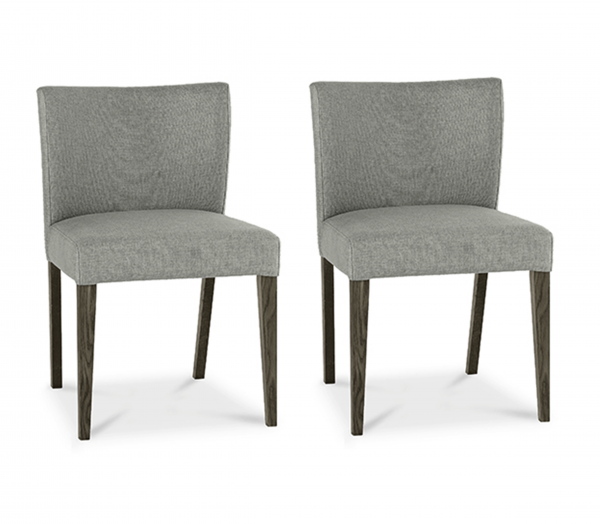 To match the set the chair has a beautiful grey fabric seat and solid dark oak legs for ultimate style and affordable class. Includes 2 chairs.